Katalin Berényi is a PhD candidate at the National University of Public Service in Budapest and a key expert in the Euromed Police IV project, deployed at CEPOL. The 10-year anniversary of the EU Charter of Fundamental Rights becoming legally binding is due next December. This fast approaching anniversary gives us the opportunity to look back on the fundamental changes that the Charter has brought about in EU law enforcement. Most importantly it caused a change in the mindset of EU policy-makers to give more consideration to fundamental rights when making decisions. In my view, this change towards a more rights-based approach is yet to be fully translated into the daily work of national and local law enforcement actors. I am convinced that progress can be made by training national and local law enforcement to adequately respond to interconnected security and fundamental rights challenges. However, police officers now generally have limited access to non-core fundamental rights education. Therefore, in my post, I will explore why police training should promote the understanding of police officers that a rights-based approach does not limit policing work but underpins its legitimacy in society, decreases the surfacing democratic deficit in EU law enforcement and helps to build bridges with and among citizens and communities in Europe. 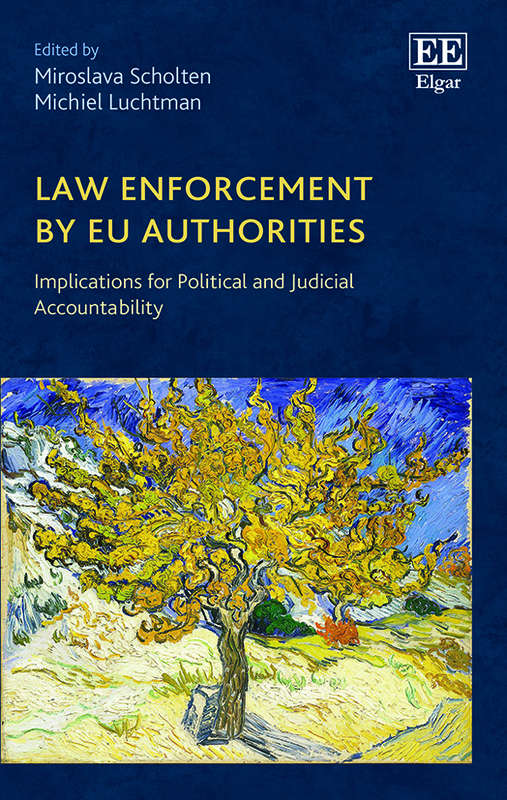 In light of the turbulent events that occurred recently in Europe and that have fundamentally changed the EU’s security environment, understanding the need for and potential of better fundamental rights education of police officers seems more timely than ever. The editors are Miroslava (Mira) Scholten and Michiel Luchtman. Mira is an Associate Professor of EU law at Utrecht University and a member of the scientific board of Osservatorio AIR. Michiel is Professor of Transnational law enforcement and fundamental rights at Utrecht University. Both Mira and Michiel are members of the Utrecht Centre for Regulation and Enforcement in Europe (RENFORCE). Editorial support is provided by Tom Huisjes; a masterstudent at Utrecht University and student-assistant of Mira. Book presentation at the European Parliament, Brussels. From left to right: Dr. Chatzimanoli, Prof. Luchtman, Dr. Scholten, MEP Dlabajová and Dr. Inghelram. Banner Image Source: Wikimedia Commons.